Low budget sci-fi horror. 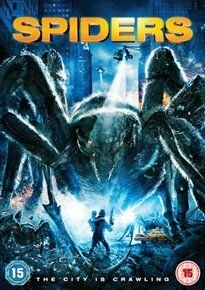 When part of an abandoned Russian space station plummets to Earth and crashes into the New York City subway, its cargo of mutant killer spiders is unleased on an unsuspecting public. As the city struggles to fight back, it falls to transit supervisor Jason Cole (Patrick Muldoon) to save his daughter Emily (Sydney Sweeney) and stop the monstrous queen spider from creating an army of all-devouring arachnids.